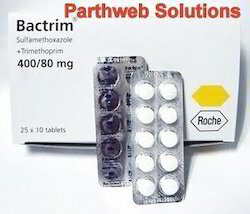 Our product range includes a wide range of gabapin 600mg tablets, lyrica 75mg capsules, donecept 10mg tablets, trimethoprim & sulfamethoxazole tablets and eurepa, prandin tablets (repaglinide tablets). 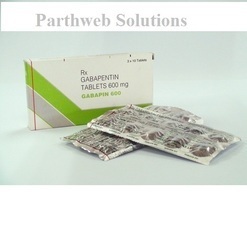 Gabapin 600mg tablet is used to treat neuropathic pain. 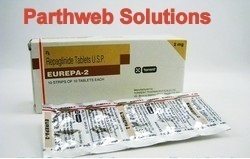 It decreases pain and controls seizures. It modulates the calcium channel activity of the nerve cells. Lyrica 75mg capsule is used to treat Neuropathic pain, anxiety disorder. It decreases pain and controls seizures. It modulates calcium channel activity of the nerve cells. 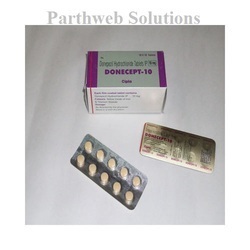 Donecept 10mg tablet is used to treat alzheimer's disease, dementia in Parkinson's disease. It increases the levels of chemical messenger involved in the transmission of nerve signals.